Catamount Creatives specializes in creating Internet showcases for artists, musicians and non-profit organizations. A sampling of past and current work can be found below. If you are interested in working on a project with us, just drop a line! 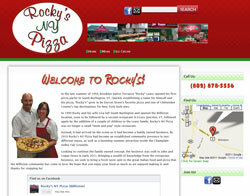 Designed homepage for the restaurant Rocky's NY Pizza. 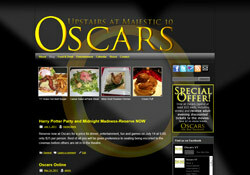 Designed homepage for the restaurant Oscars at Majestic 10. 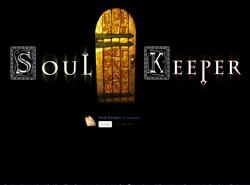 Designed homepage for the independent short film Soul Keeper. 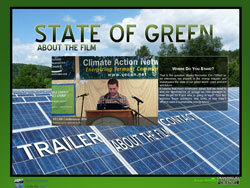 Designed homepage for the independent documentary film State of Green, including logo, graphic design, social media integration and embedded video content. 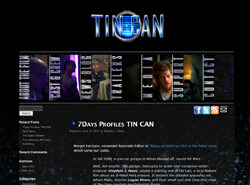 Designed homepage for the independent film Tin Can, including logo, graphic design and Flash animation. Designed homepage for the Up-East Vermont Chamber of Commerce, including logo adaptation and graphic design. 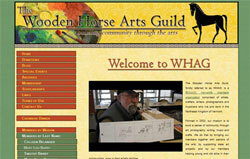 Complete ground-up design of www.woodenhorsearts.com, including graphic design, layout and frequent updates. Showcases the work of its artist members from the Northeast Kingdom of Vermont. Integrated blog; includes interfaces to social media for promotion. 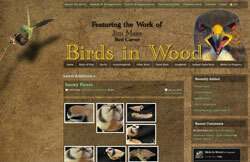 Complete ground-up design of www.birdsinwood.com, including graphic design integrating artist's photography. Implemented with weblog software to enable the artist to self-update; includes interfaces to social media for promotion. Showcases the work of world-class birdcarver, Jim Maas.